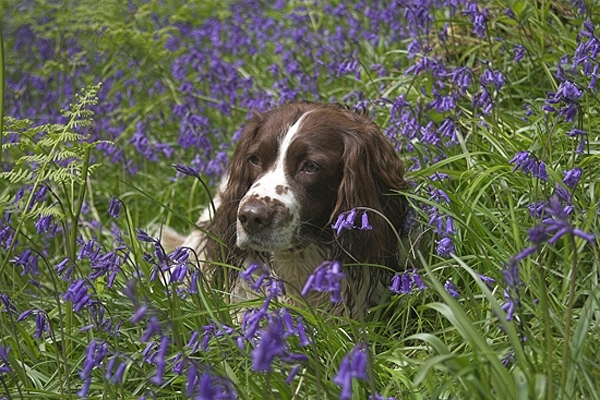 Home | Springers | Beckham in bluebells. Taken in a bluebell wood in Scotland.Still posing. Canon 1D Mk11N camera,56mm lens,1/60 f5.6.